A steady South-Westerly Breeze brought the re-energized fleet on a quick Twilight Course, with many of the participants fresh from a successful Western Circuit campaign. CSC had much to celebrate for, with CSC Skippers sweeping the titles for 4 classes at the 2018 edition of the Western Circuit Regatta. In the IRC Class, Born in Fire continue their fine form from the Western Circuit, securing a bullet in the Twilight Series with only 2 sailors on board. They stayed about 1 minute ahead of their nearest rival, Invictus, who sneaked into 2nd place 10 seconds ahead of 3rd placed Jong Dee. The close competition between all 3 boats made for an exciting race to watch. 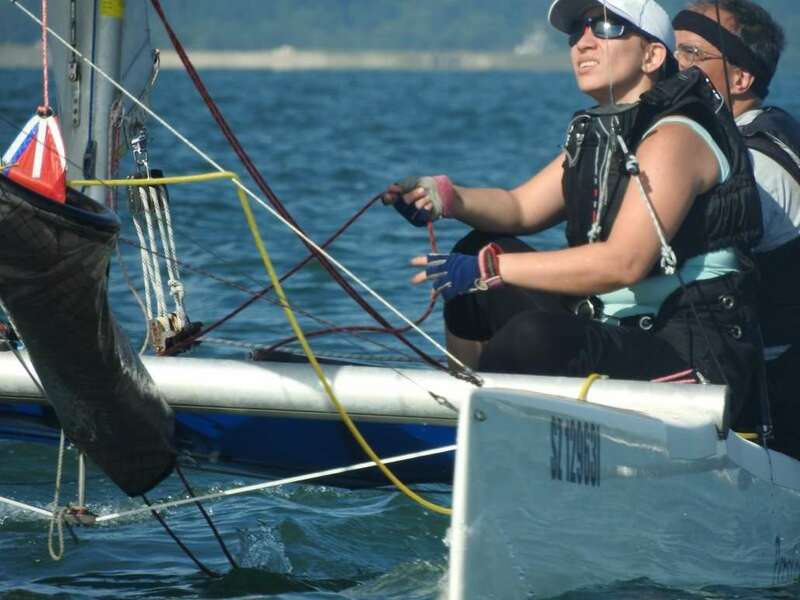 The biggest fleet for this weekend’s Twilight Race did not disappoint, as 7 sailors competed for a podium finish in the PY Class. After a long hiatus, Ikaroa returned to club racing with a win, sailing well to keep close to the lighter/faster boats and securing their victory after handicap. Southern Light was a close 2nd, followed by Big Bad Wolf in 3rd. Despite not finishing on the podium, New Blue Eyes look poised to take the PY title in next week’s finale, as nearest rivals Minx and Marsh Mellow lay a few points behind. Witblits secured another bullet in the Cruising Multihull Class, stengthening their position at the top of the table. Cicak’s performance were only good enough for a 4th – just out of podium contention. Baloo sailed well to secured a 3rd place finish, staying well ahead of the Corsairs to earn their place on the podium. Despite being the only boat in the Beach Catamaran Class, we are 100% certain that Chris and Neda were just happy to be out on water sailing on Persian Cat. We look forward to the reutrn of the regular Catamaran sailors – bringing some excitement to the fleet.